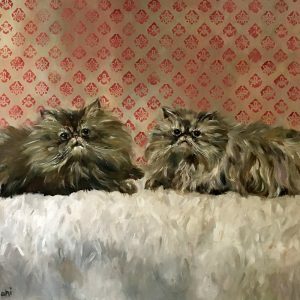 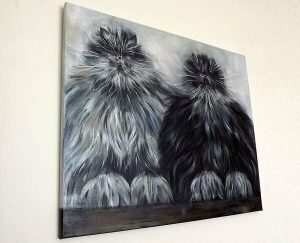 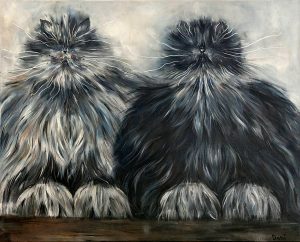 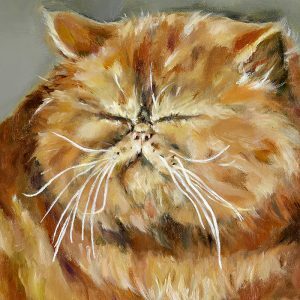 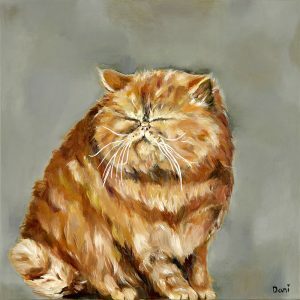 Two sophisticated fluffy cats with lots of character. Both cats are sitting on a pink textured damask cushion. 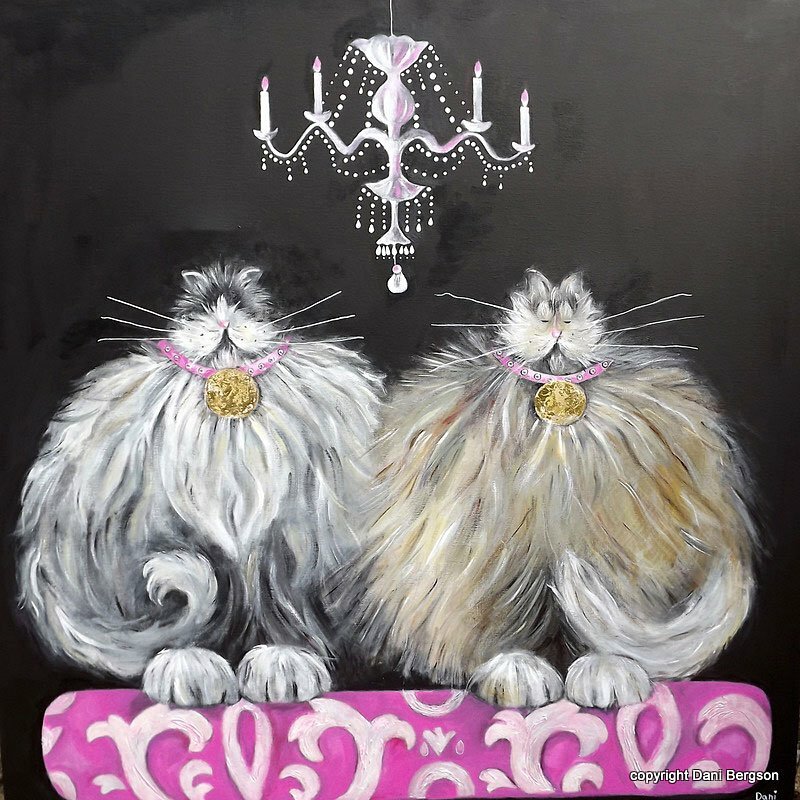 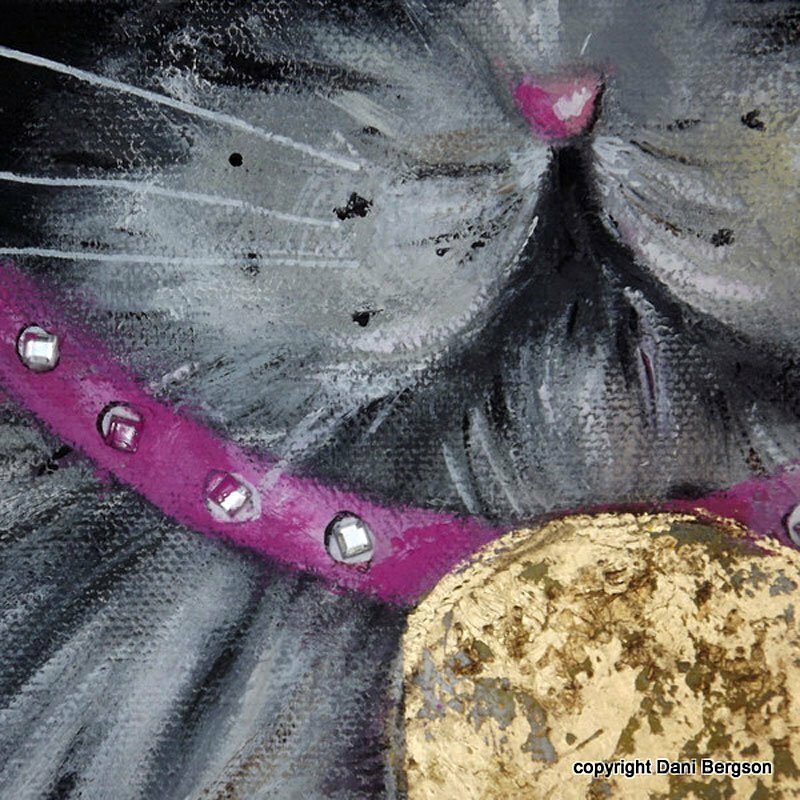 Their pink collars are embellished with jewels and original Gold Leaf. 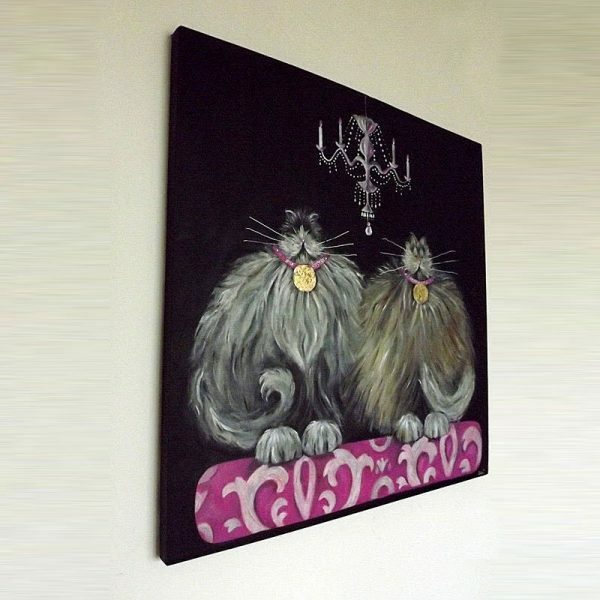 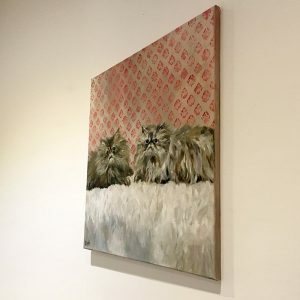 A striking piece of contemporary British art.